The art of pressure point therapy uses ancient acupressure trigger points to release tension and increase the circulation of the blood, heightening the body’s vital life energy to aid healing. Acupressure uses gentle but firm finger pressure to activate the points. By applying pressure to our body’s pressure points, it can help relieve pain, establish balance, and improve health throughout the body. 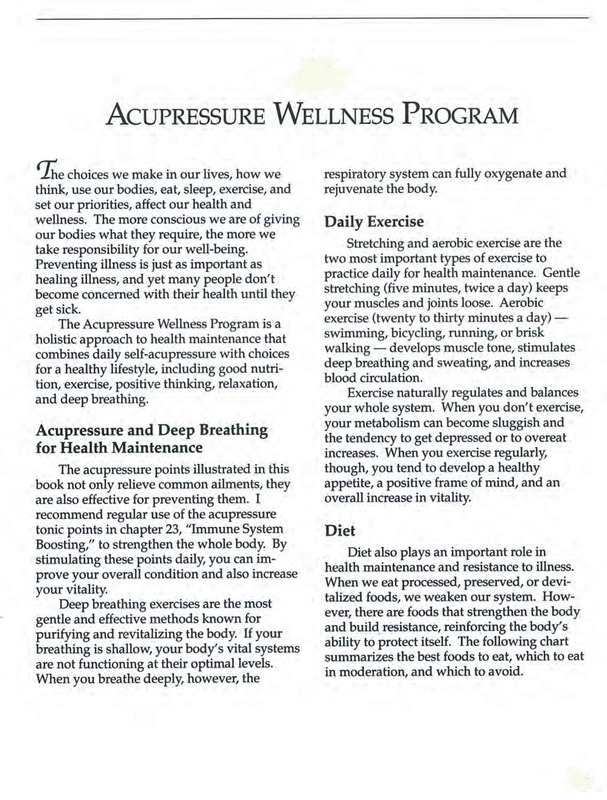 An acupressure body treatment is an excellent way to rebalance your body systems and energy flow. When the blood and energy circulate properly there is a greater sense of harmony, health and well-being. 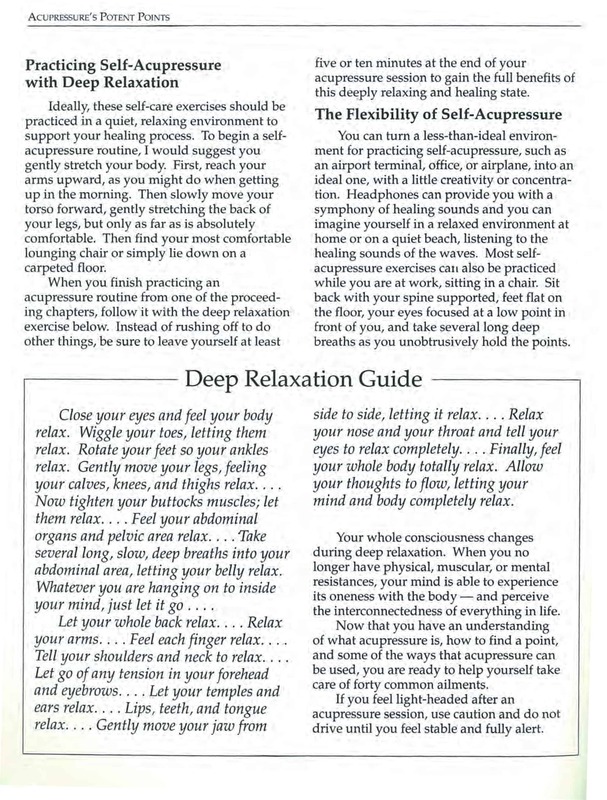 Below you will find a short introduction as to how you can use self- acupressure to help maintain health and relieve stress in everyday life. 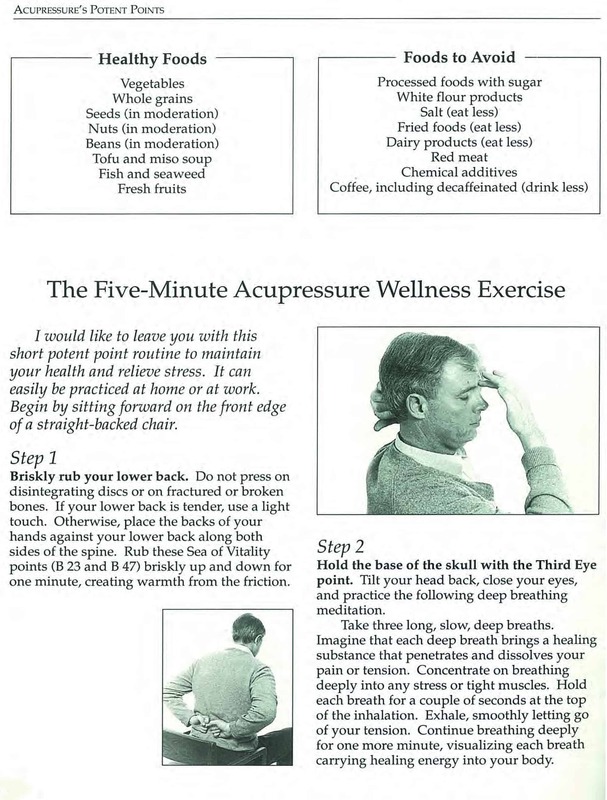 When holding acupressure self-care points, use a pressure that feels appropriate for your body. Typically use a light pressure and deepen to a comfortable pressure for up to one minute on each point. The acupressure points could feel sensitive, but the points should never hurt. The Acupressure points information mentioned above is a guide only. 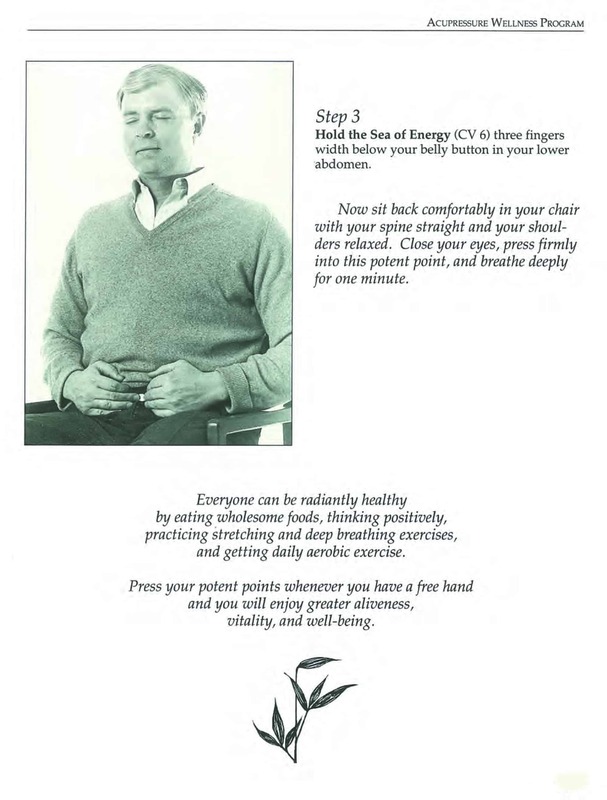 If you have not learned about the applying these techniques, the amount of pressure, contraindications etc., please consult an acupressure expert before trying the pressure points on yourself or any other person. Along with the two major contraindications involving cancer and cardiovascular health, there are varying other contraindications in which a physician should be consulted before having acupressure performed on your body. These include pregnancy, acute fever, inflammation, poisoning, open wounds, broken bones, ulcers, contagious skin conditions, tuberculosis and venereal diseases. If you have any concerns or doubts, talk to your doctor before scheduling your acupressure appointment.